Today I have a set of twelve 8.5x11 inch calendar topper templates, which can easily be changed into 12x12 designs. They focus on the photos and have just a bit of simple embellishment. 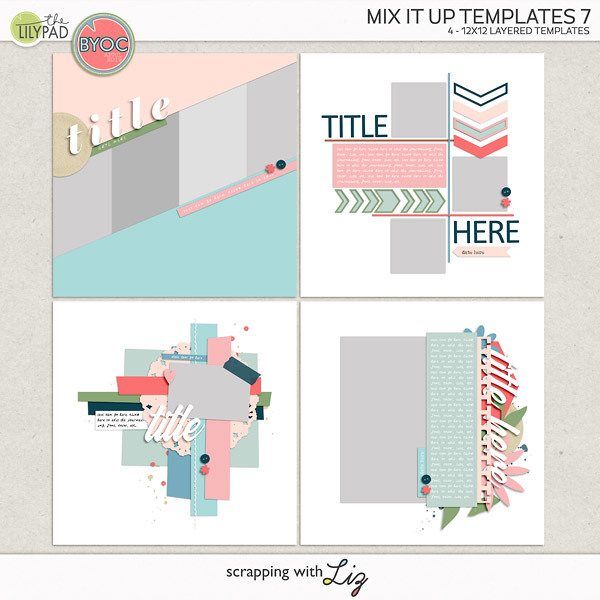 They are perfect for putting together a quick page. 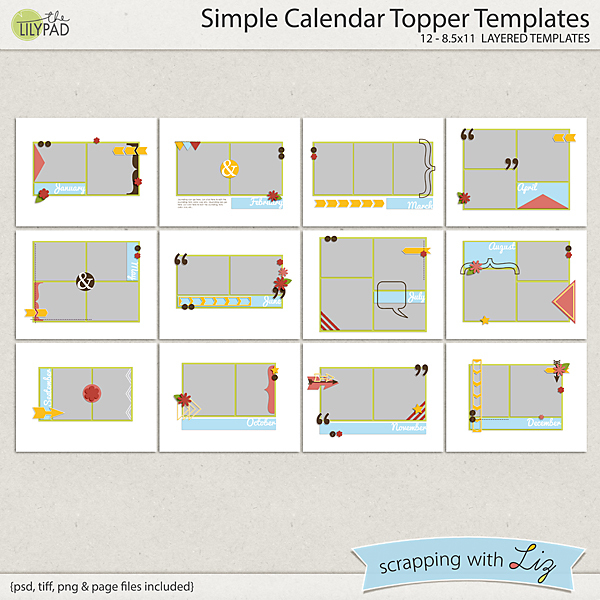 Simple Calendar Topper Templates is an older product, but new to The Lilypad. Enjoy the 50% SOSN discount today only, September 14, 2016. 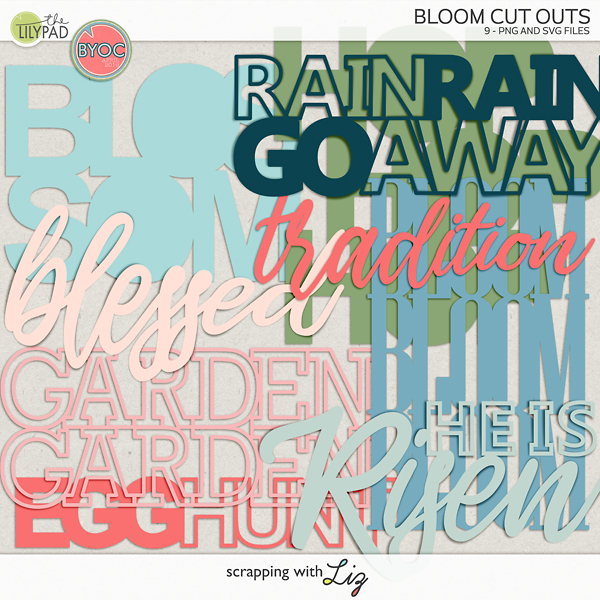 Donna made this into a 12x12 page with a city scape. 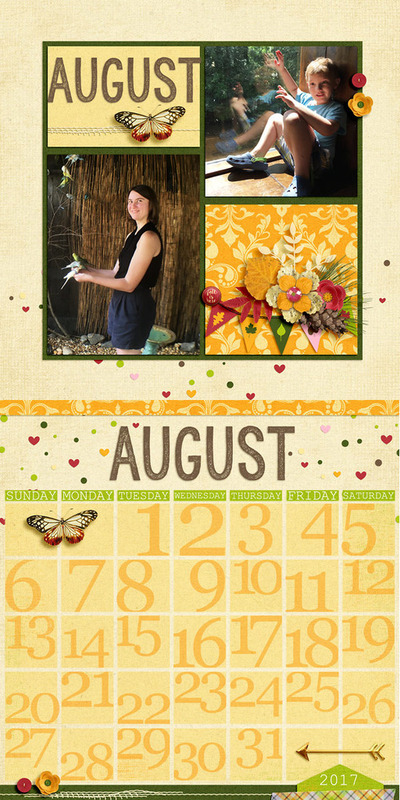 Amanda paired the topper with the August grid with my Calendar Starter Template.